Besides maintaining a strict dental care regime at home, routine visits to a dental clinic are essential for the prevention and cure of dental diseases. At W. Brent Nash, DDS we take pride in providing high quality dental care in a warm, congenial environment. Our family dentist office near Puyallup, WA is aimed at delivering top-notch solutions for your dental problems. At our family dentist office for Puyallup residents, we work on establishing good relationships with our patients, so that they always feel at ease. Our cosmetic dentist experts and hygienists at the family dentist office for Puyallup residents are trained to ensure that you feel absolutely comfortable during the procedures. The family dentist office for Puyallup residents has an answer to all your dental problems. 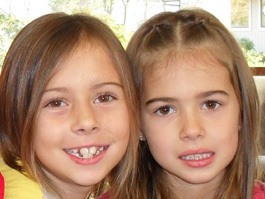 Our family dentist office near Puyallup treats dental patients of all age groups, so there is no need to take your child to a separate clinic. At our clinic near Puyallup we strive to make your dental appointments absolutely stress-free so that you return home on a positive note. Can’t wait to fix your smile? Having to deal with unnecessary social embarrassment due to stained or missing teeth? Our cosmetic dentist professionals serving the Puyallup area have several years of extensive training and experience in this field. These services are provided at reasonable rates, by our cosmetic dentist near Puyallup, so you can easily look forward to a new and improved smile! 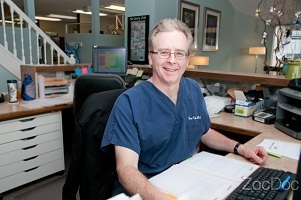 Our dedicated team at W. Brent Nash, DDS is always at your service. Please call us if you have any questions at 253-299-9211.